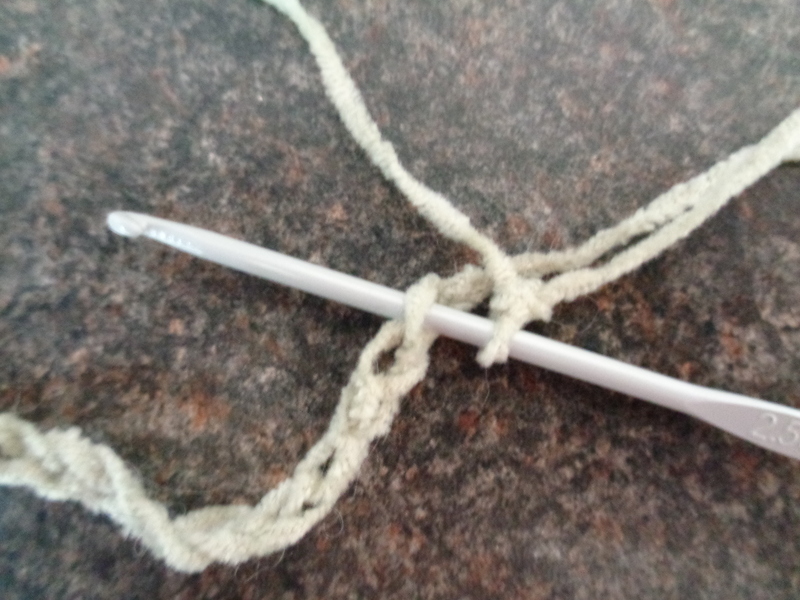 Today I’m going to show you some tricks for working in a really big round. 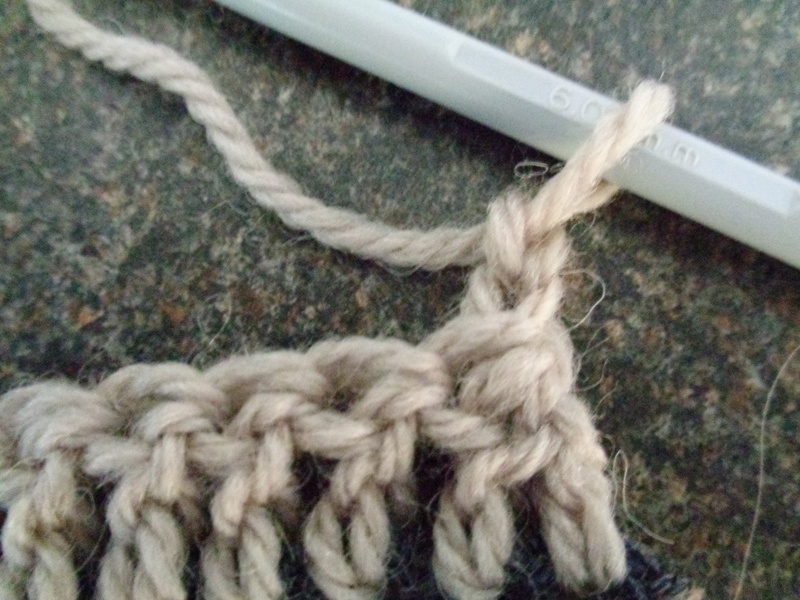 The sort of round I mean is when there are 50 or more chain stitches in the initial ring. 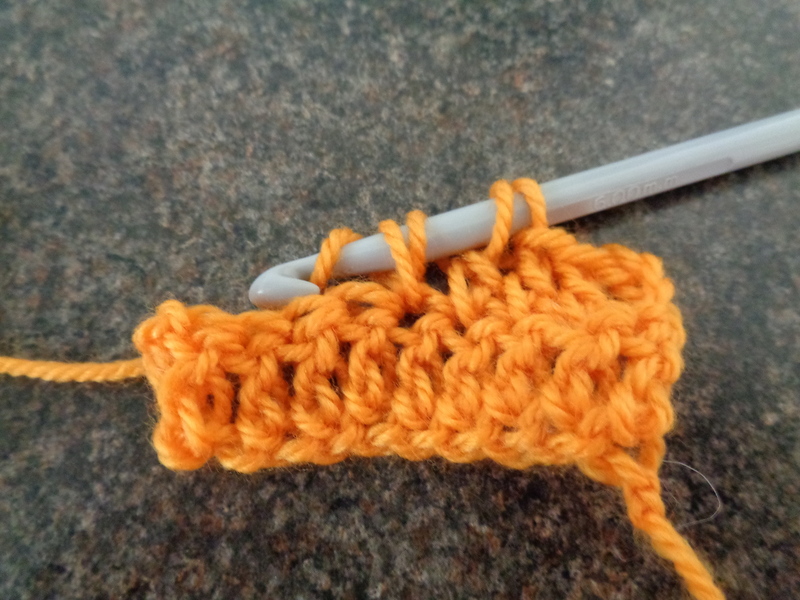 The first thing you need is two balls of the same color yarn. 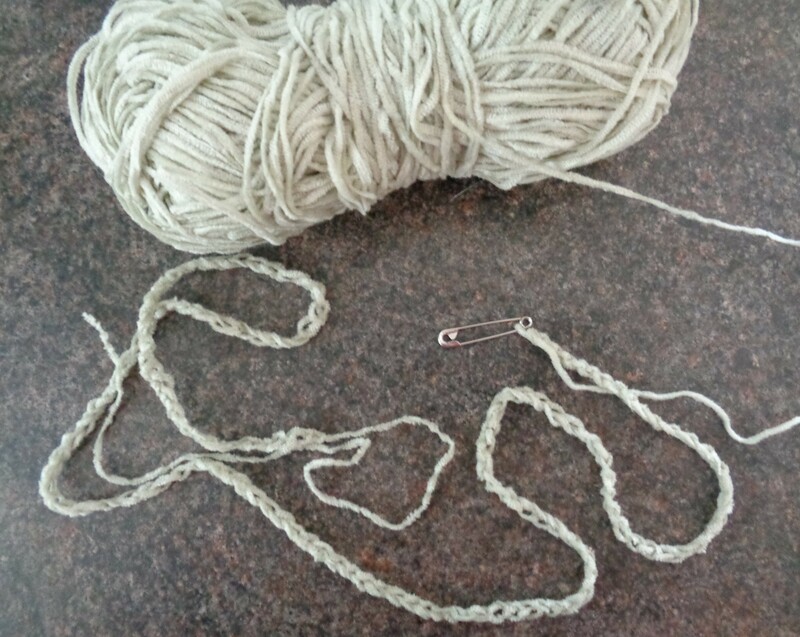 Start by doing the foundation chain as specified in the pattern, however when it says to join the ring I want you to pause and put a safety pin in the end to stop it unraveling. 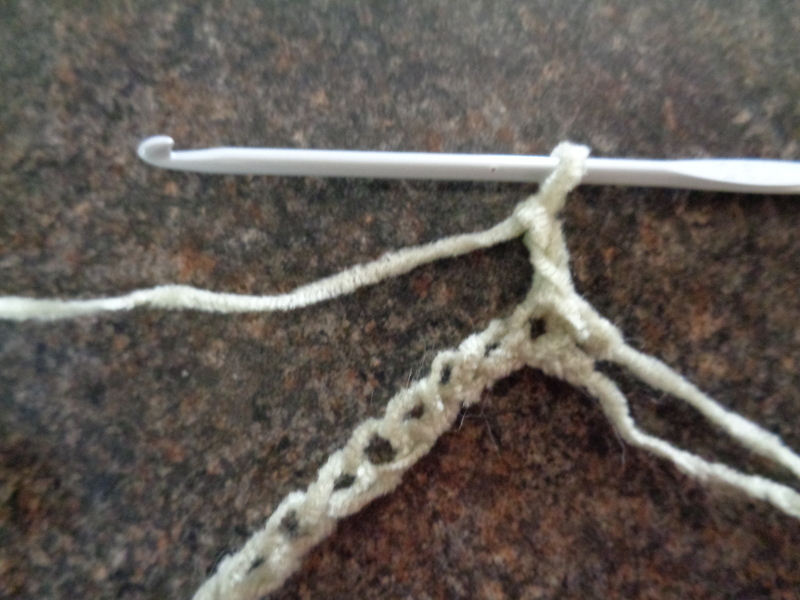 Next get the second ball of yarn and attach a ch stitch to the first of the foundation ch at the opposite end to the safety pin. 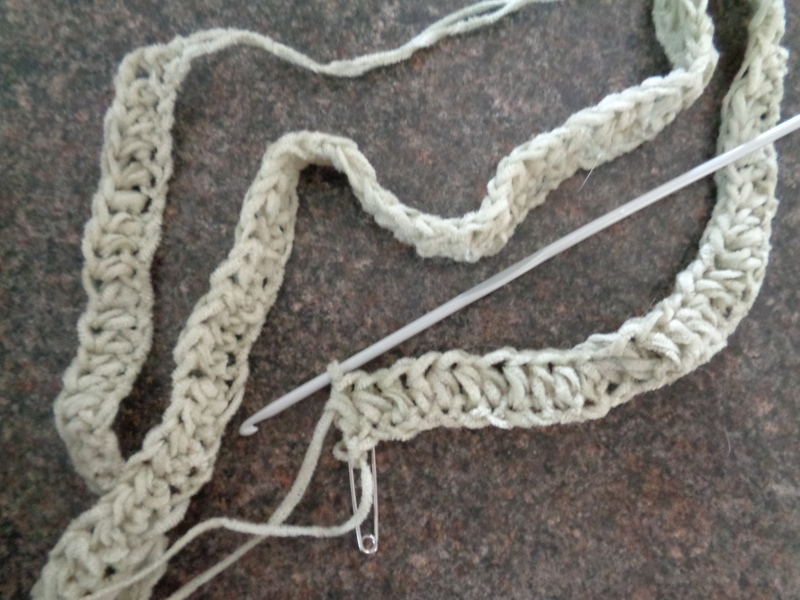 Now do your turning chain for the start of the row and stitch all the stitches in the row up to the end where the safety pin is waiting. 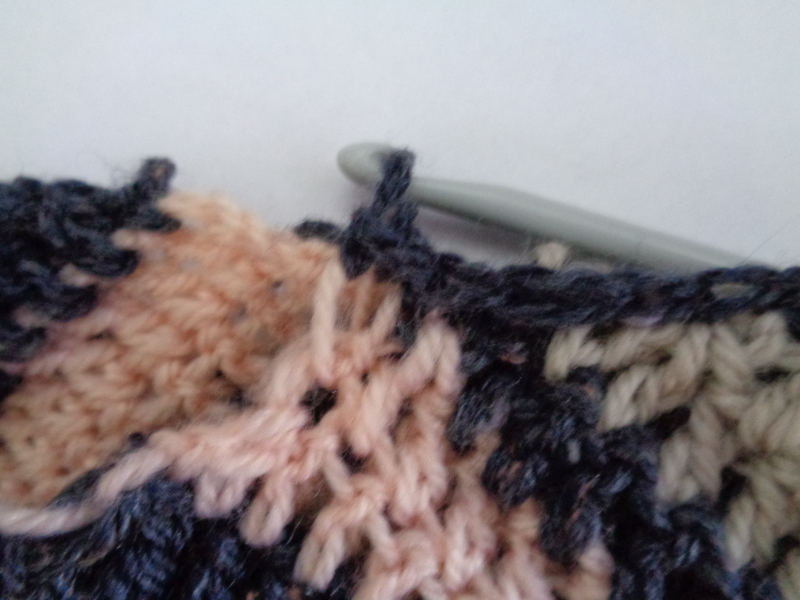 Count your stitches carefully to see that they are all there. 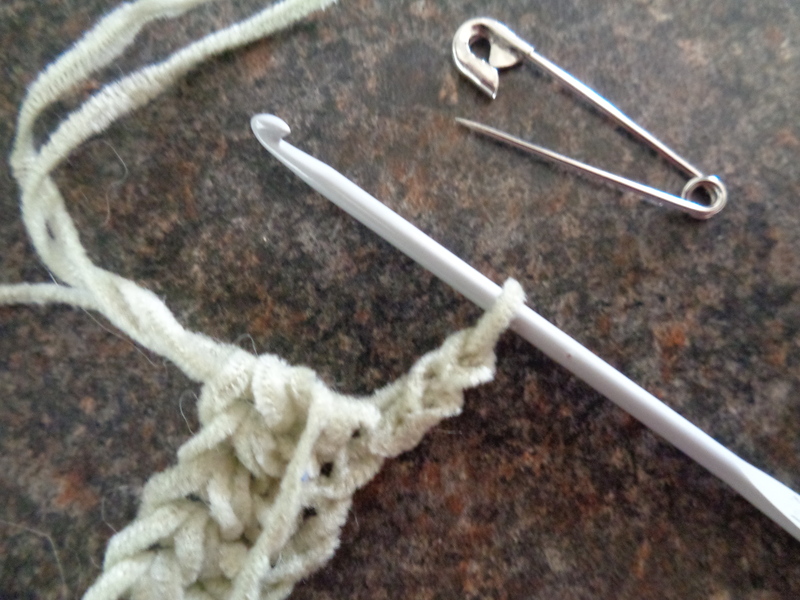 If you have made a mistake you can undo the safety pin and add or subtract any missing stitches. 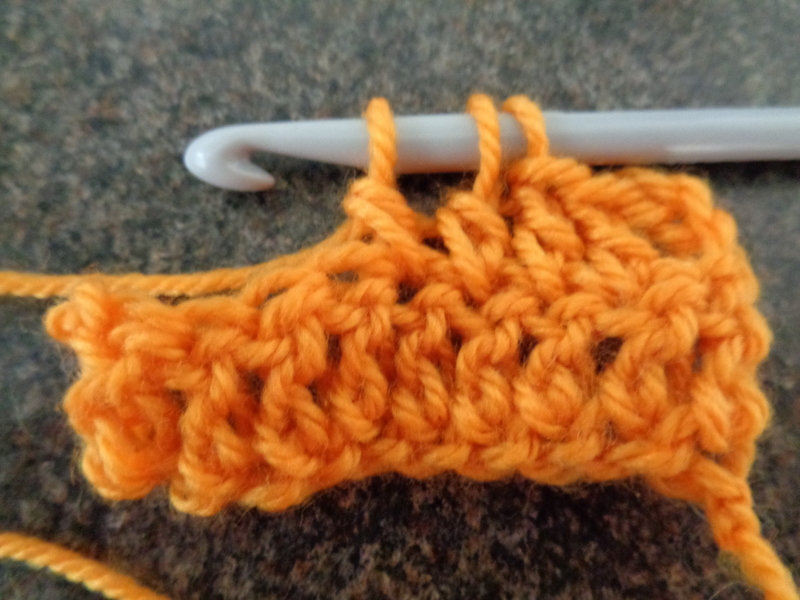 When you are satisfied, do a slip stitch from the end loop of the foundation ch into the first ch like this, making sure there are no twists in the circle you are making. 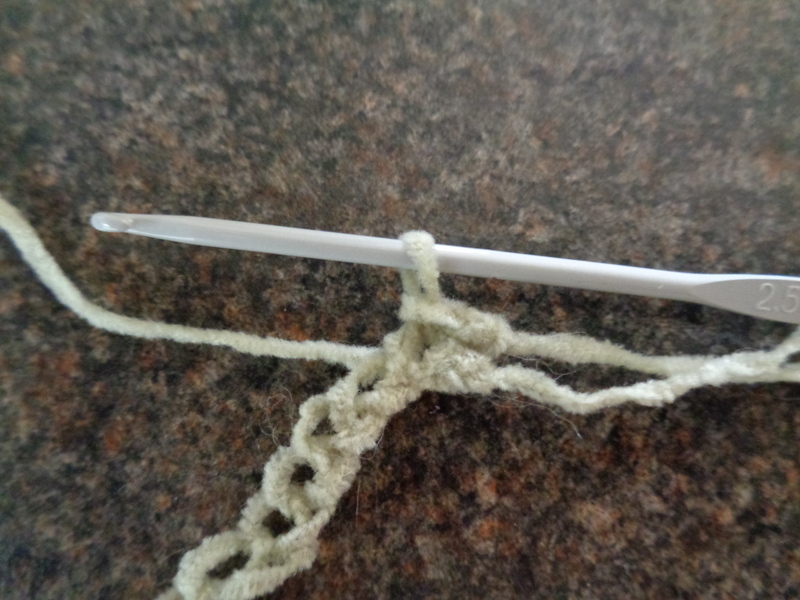 Finish off the end so that the first ball of yarn is no longer attached. 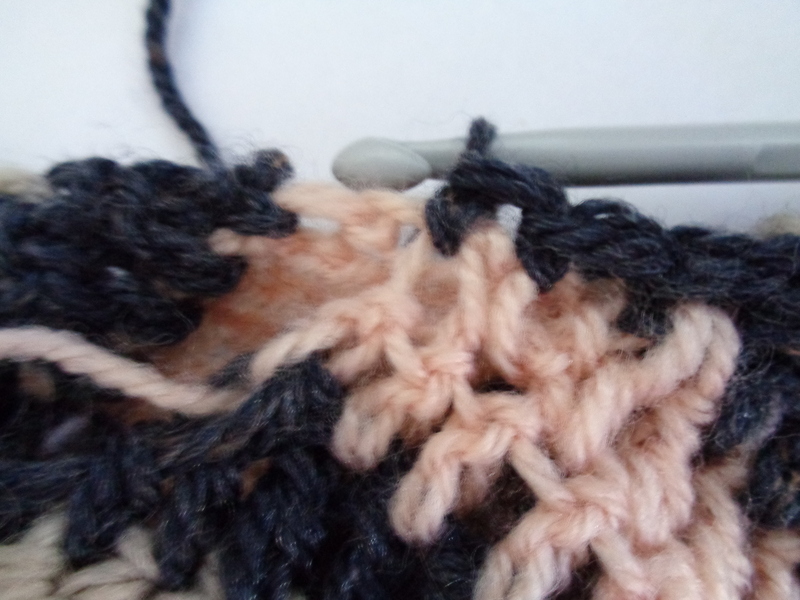 Then turn the work upside down and do a slip stitch into the top turning ch on the first row worked. 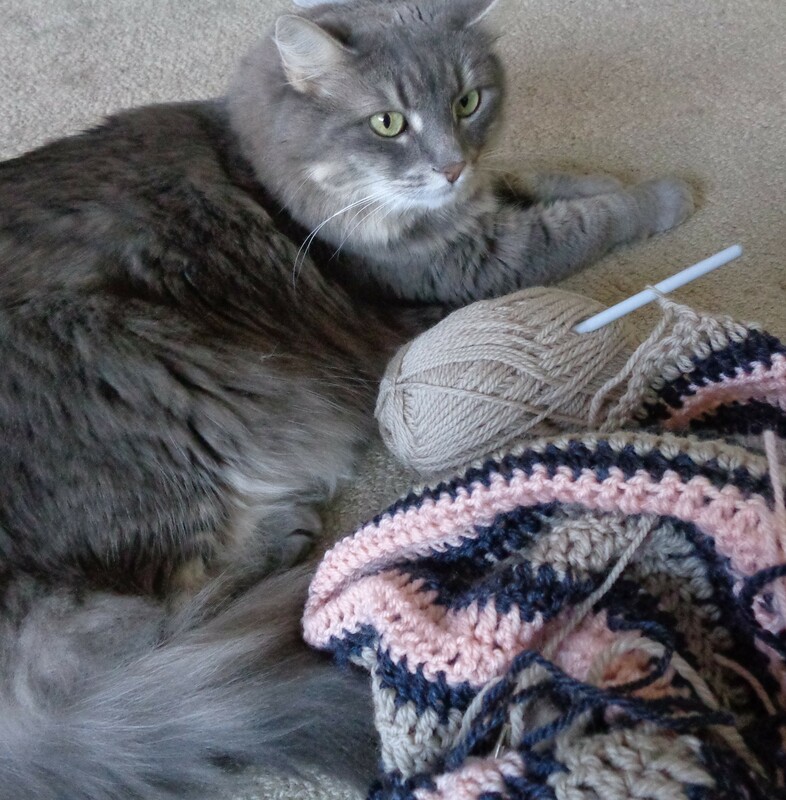 You have completed Round 1, do your turning ch for Round 2 and continue on your way! 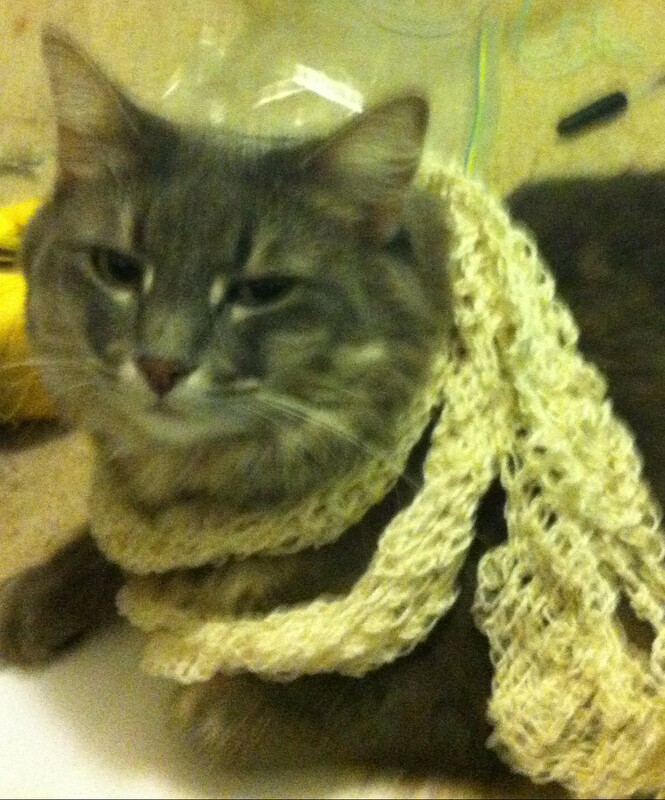 Mee-ow, it is I, Mimi once again. 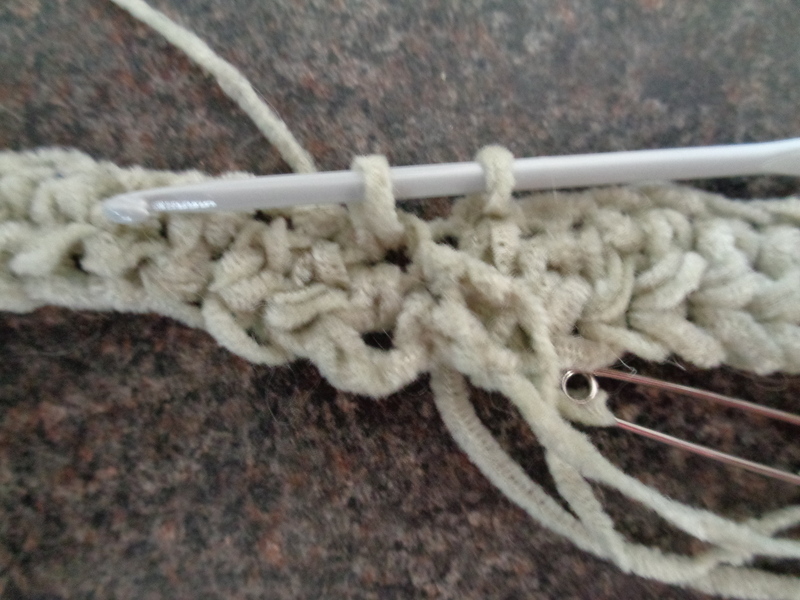 Today I’m going to show you how we crochet two pieces of crochet together by joining them along their edges. 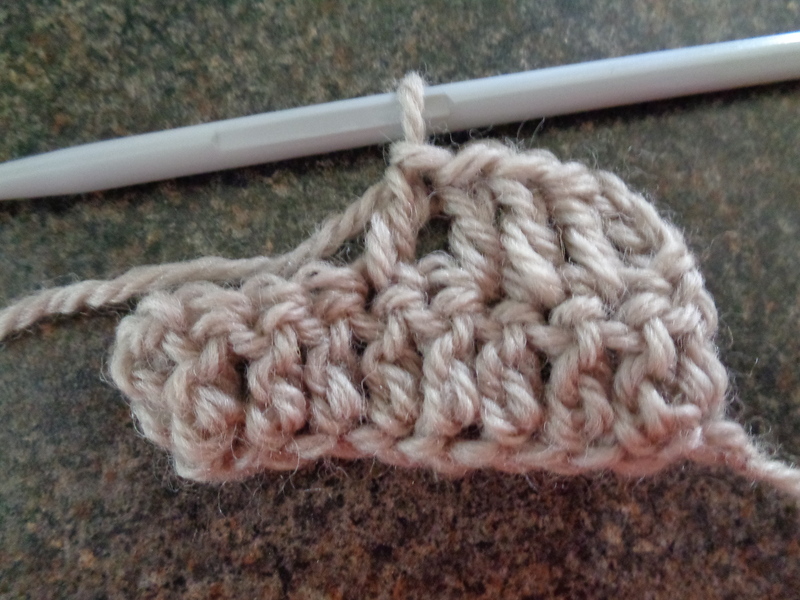 Position the two pieces so that the sides you want to crochet together are one on top of the other and are ready to be joined from right to left. 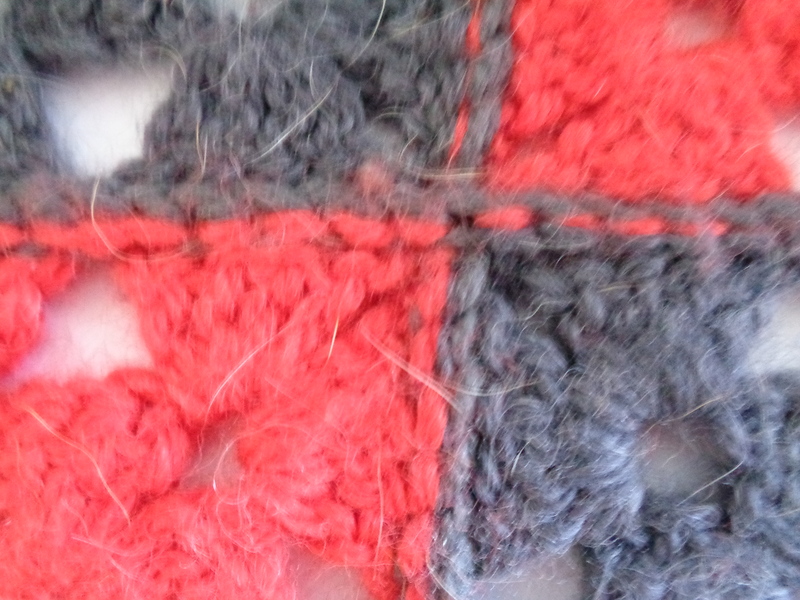 put the backs of each piece together. 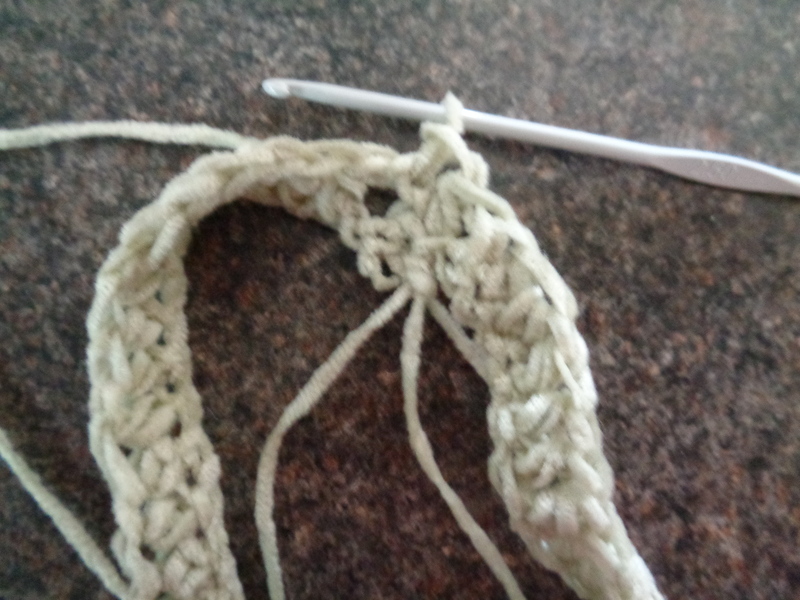 put the fronts together and crochet from the back of the top piece. 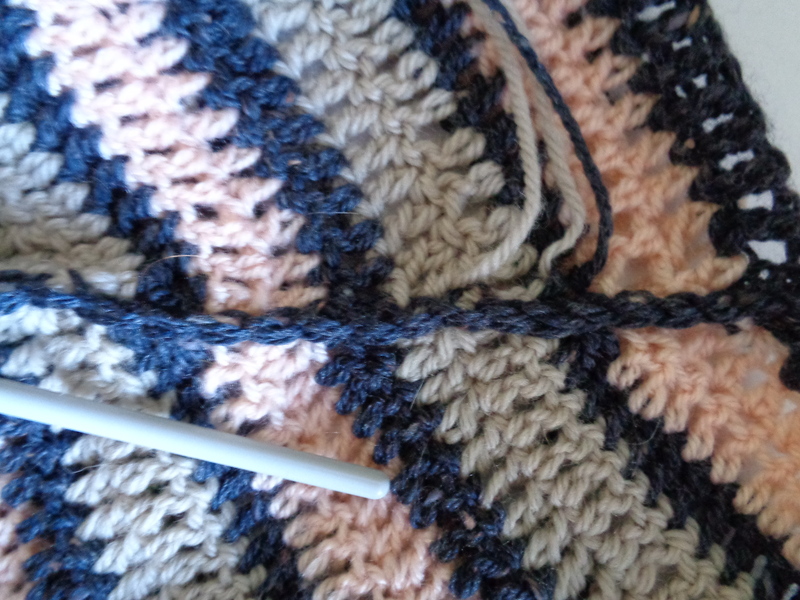 Once your two pieces are placed one on top of the other, you are ready to join. 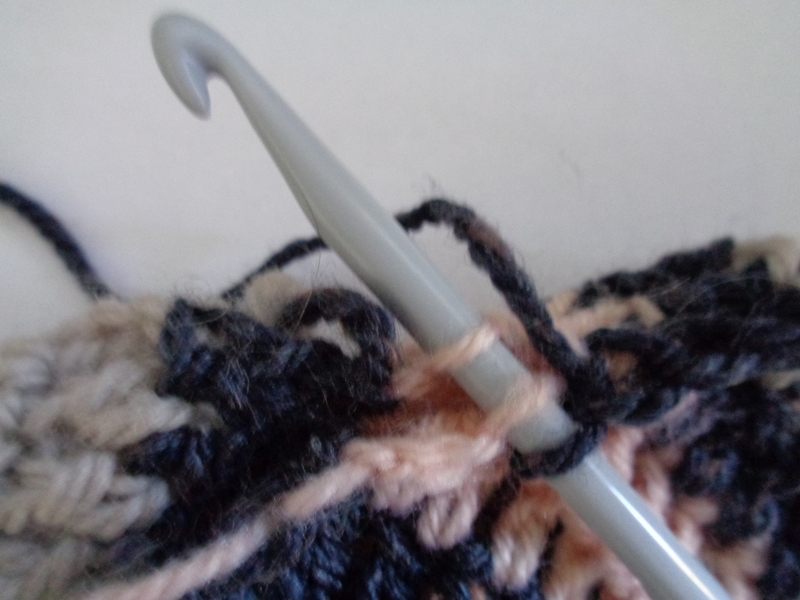 Whether you are attaching a new yarn to join with or continuing on with one you were already using, you should have one loop on the hook as usual. 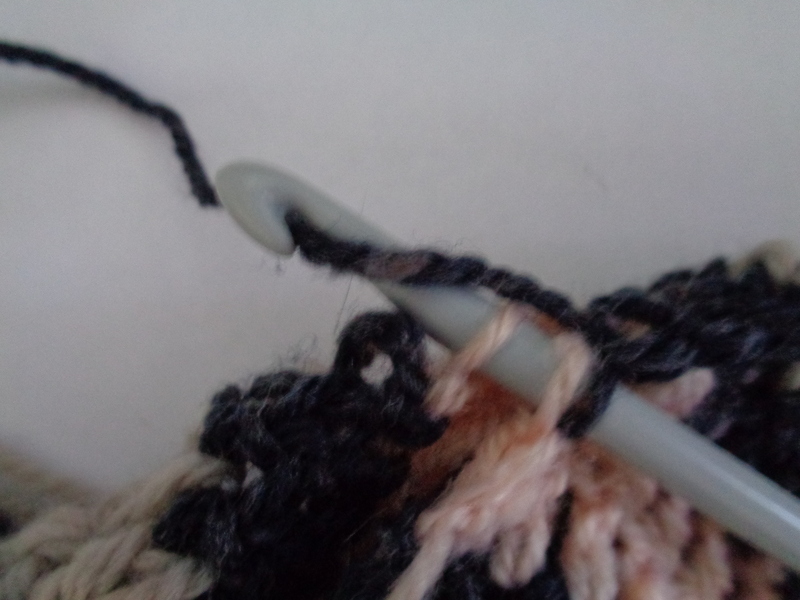 Insert the hook through a stitch on both the top and bottom piece (the pale orange two) and draw yarn through them like this. 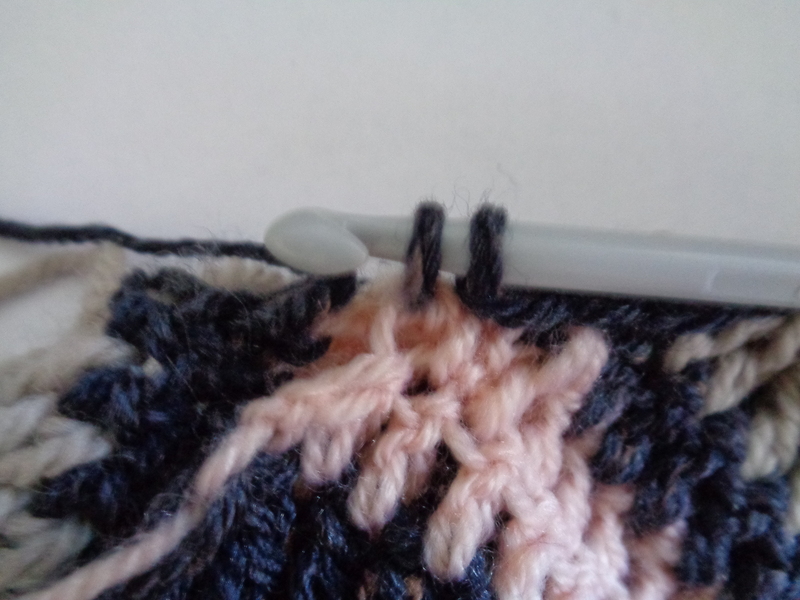 Sometimes you will have a nice row edge to insert the hook into and you can pick up the top loop of each stitch you want to crochet together and crochet them together perfectly evenly. 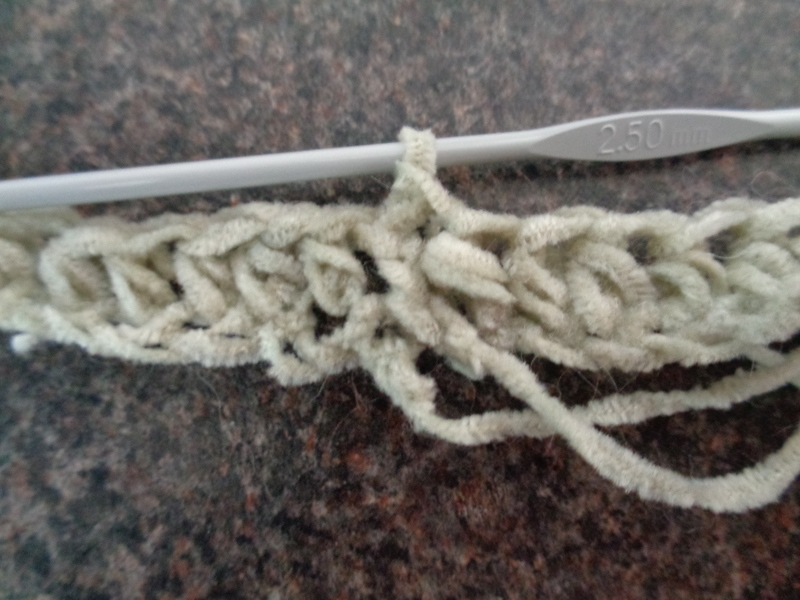 But sometimes you will have side seems where the loops may not match up so precisely. 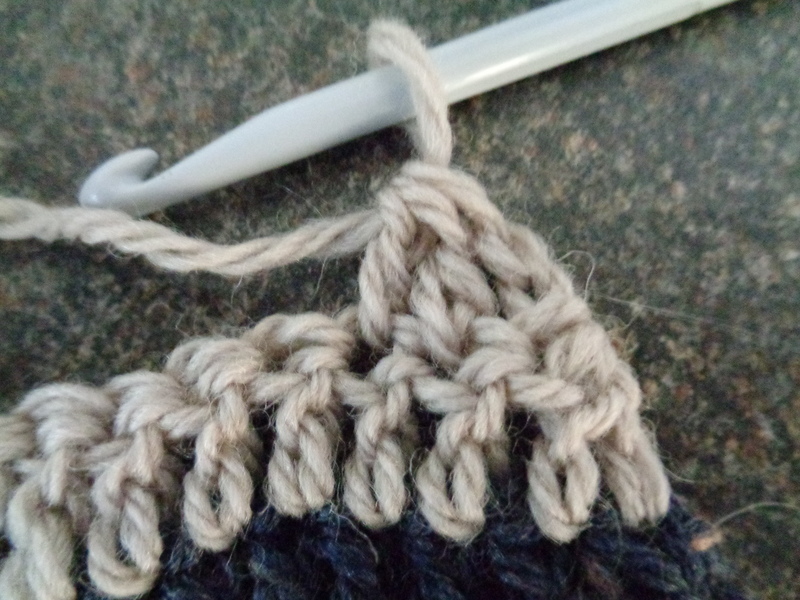 Just do your best to keep it even – put one stitch in the side of each sc and 2 or 3 stitches in the side of each dc, depending on the look you want. 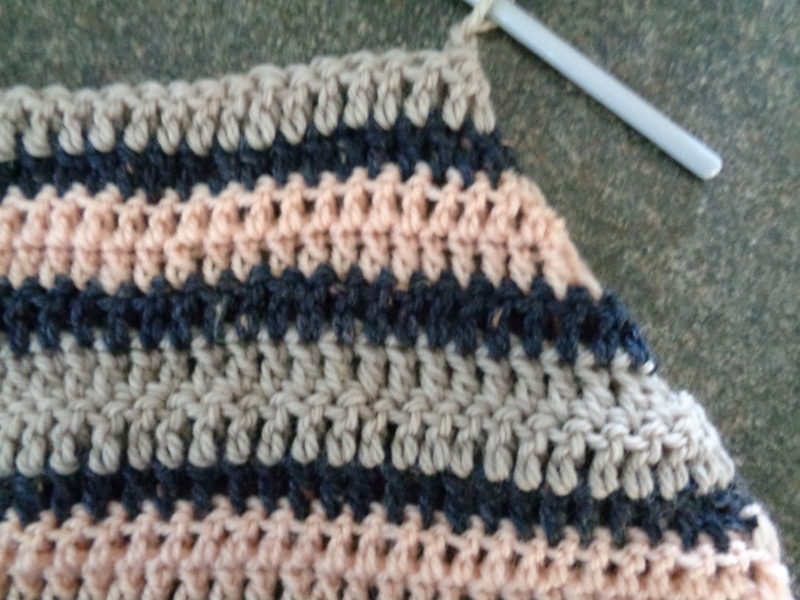 The key is to be consistent and keep the sides matched so they end together. 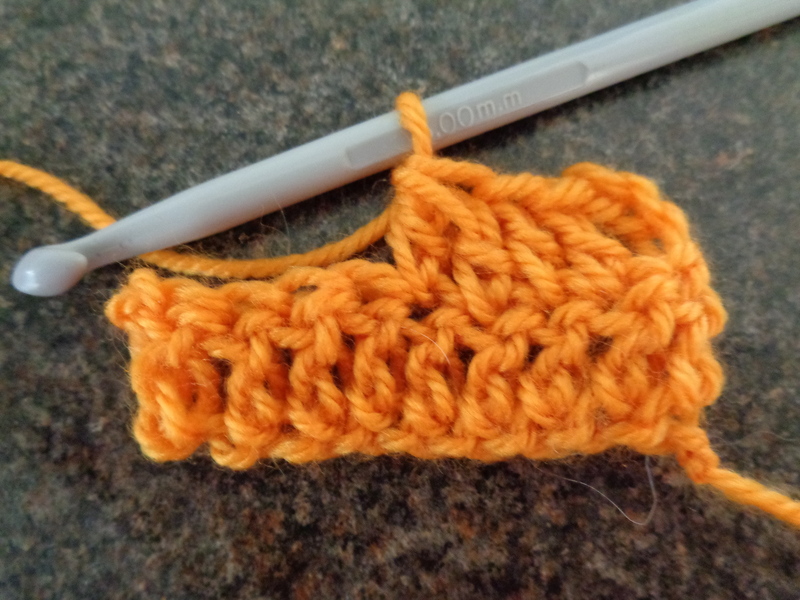 Usually when joins are being made a slip stitch is used, but you can use a single crochet or even half double crochet to make a clearly marked edge out of the join. 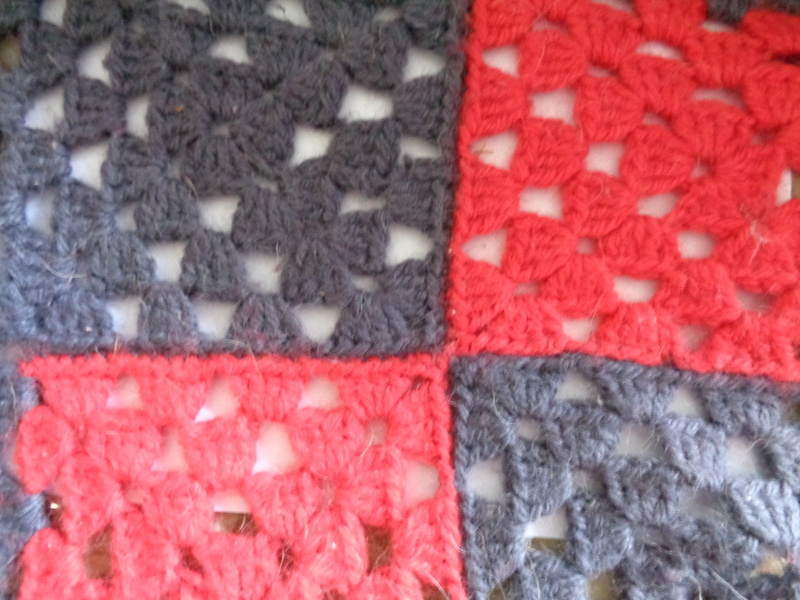 The edge in the granny square is a slip stitch, the edge in the striped example is a single crochet edge. 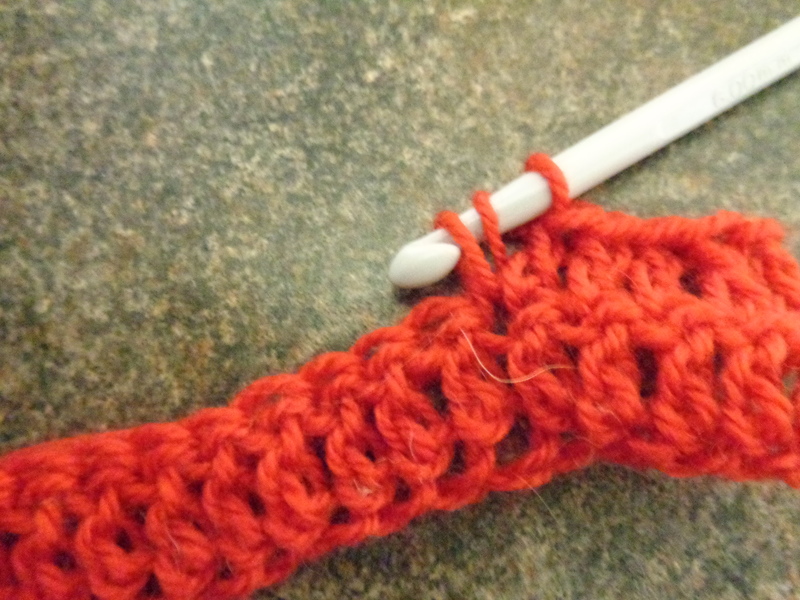 Today I’m going to show you how to increase stitches. 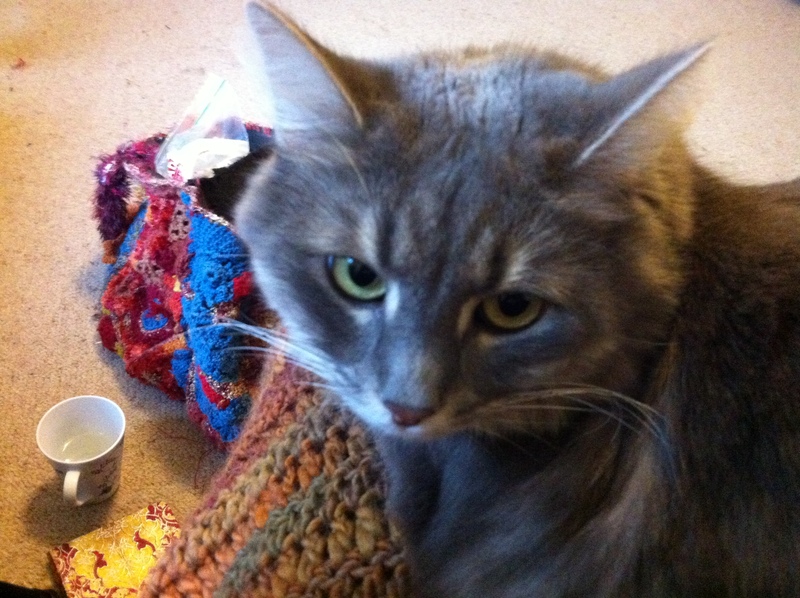 stitch, eg inc 1 dc. 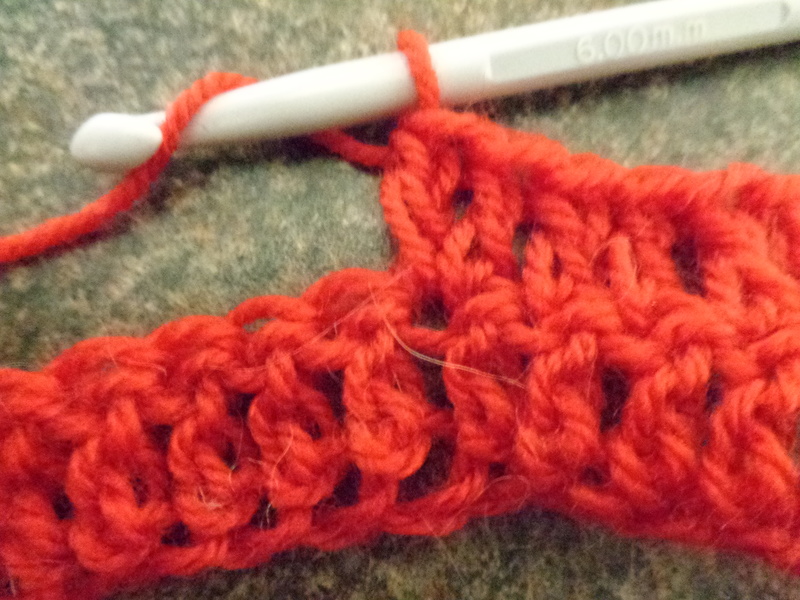 Alternatively, a pattern may specify a number and type of stitch in the next stitch of the previous row, eg 2 dc in next st. Both of these mean the same thing. 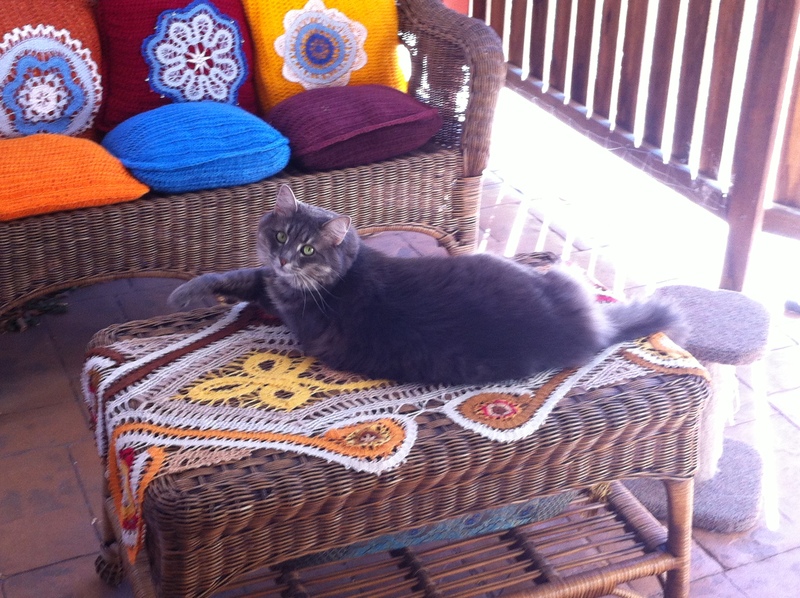 Here is what we do. Imagine you have a row of dcs like this. 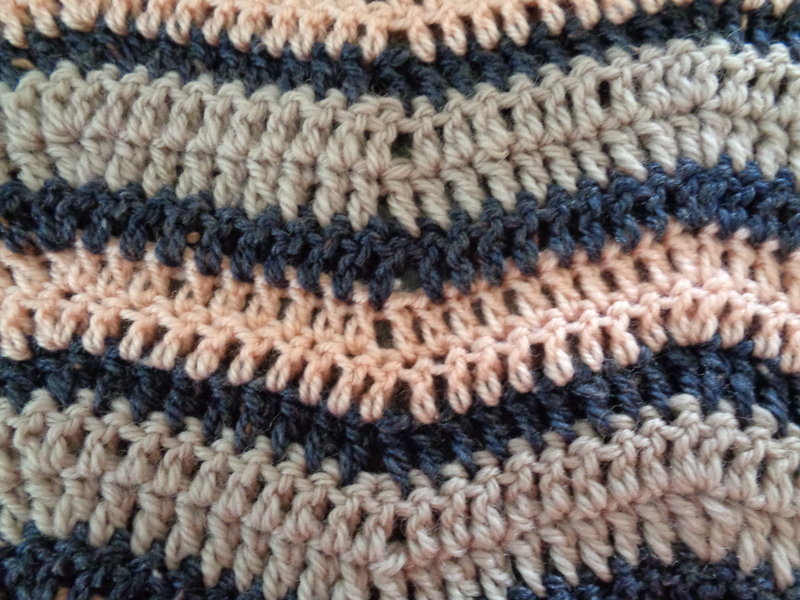 And you are half way through a second line of them when the pattern tells you “inc 1 dc” or “2 dc in next st”. 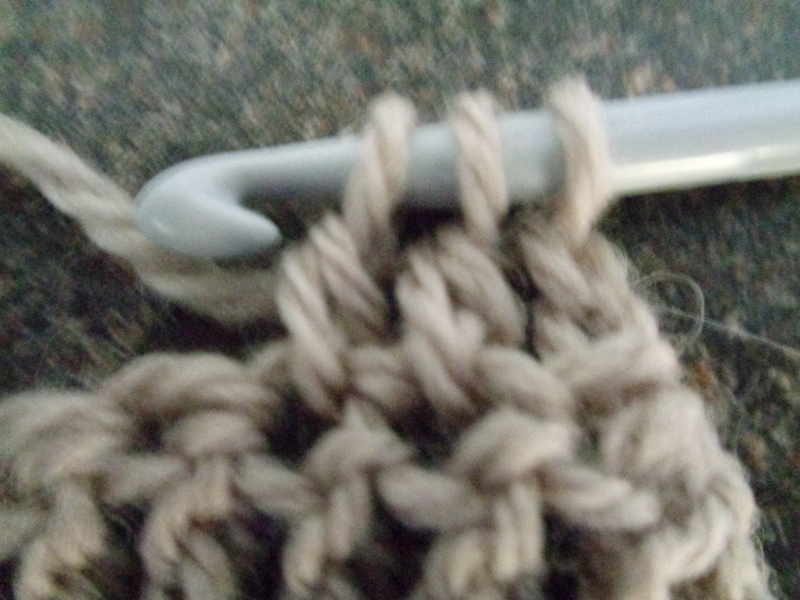 In either case, you then make 2 stitches into the top of one stitch like this. 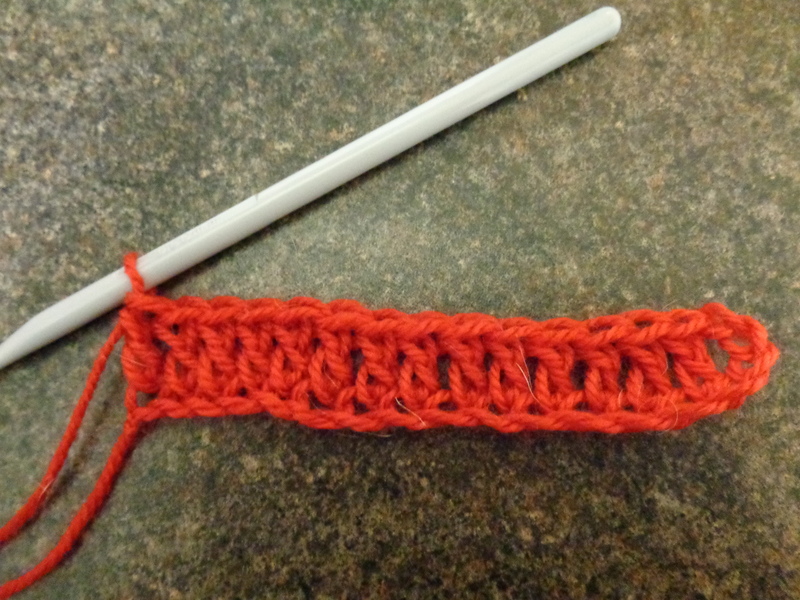 This means that where you had one stitch in the previous row there will now be two – the original plus 1 more – in the current row. 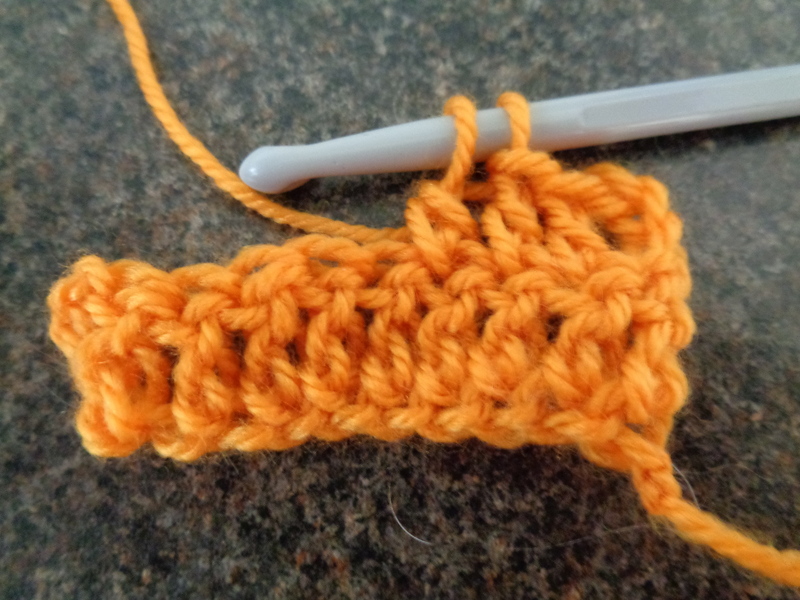 If you are asked to increase more than 1 you just keep adding the required stitches to the same stitch in the previous row. 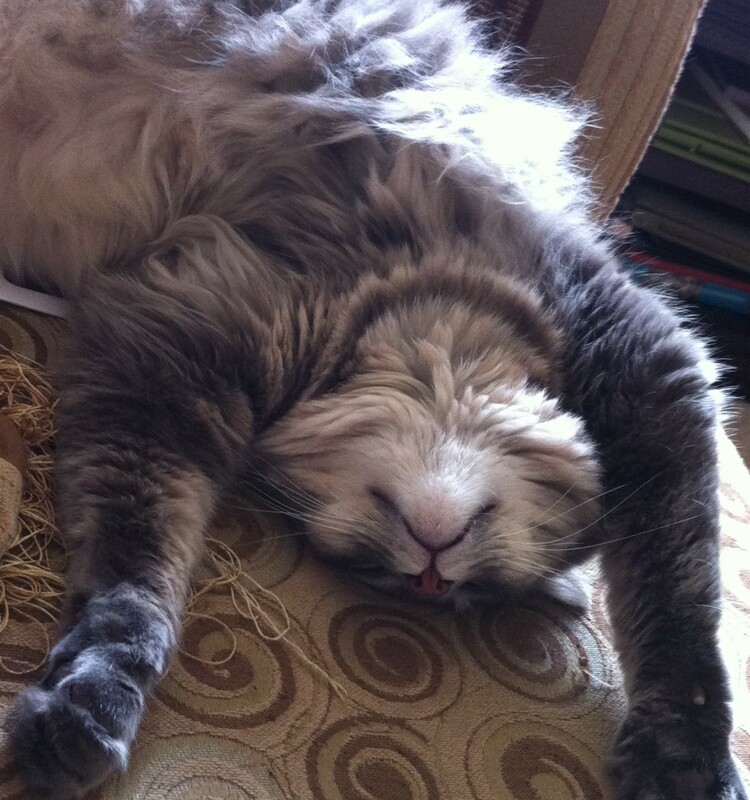 This same technique is also applicable if you are working in a round.